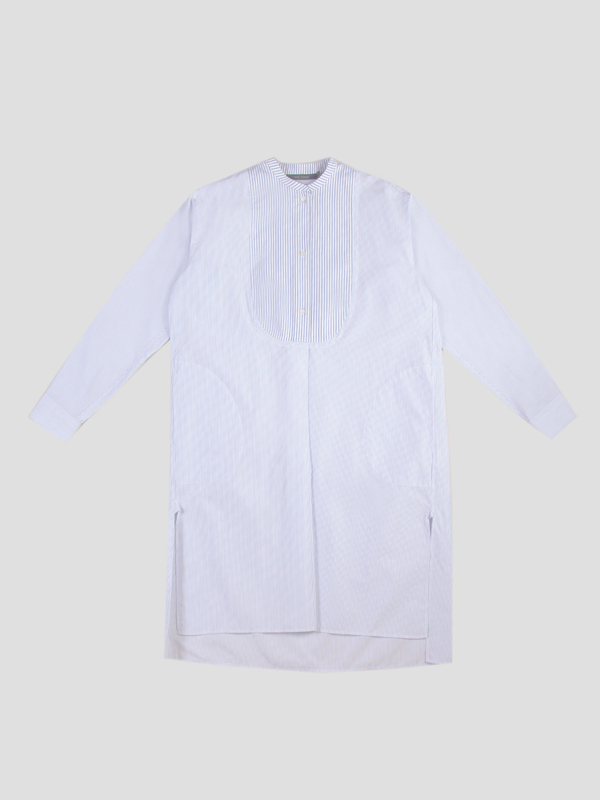 White and blue long mandarin shirt with a plastron style design on the chest. 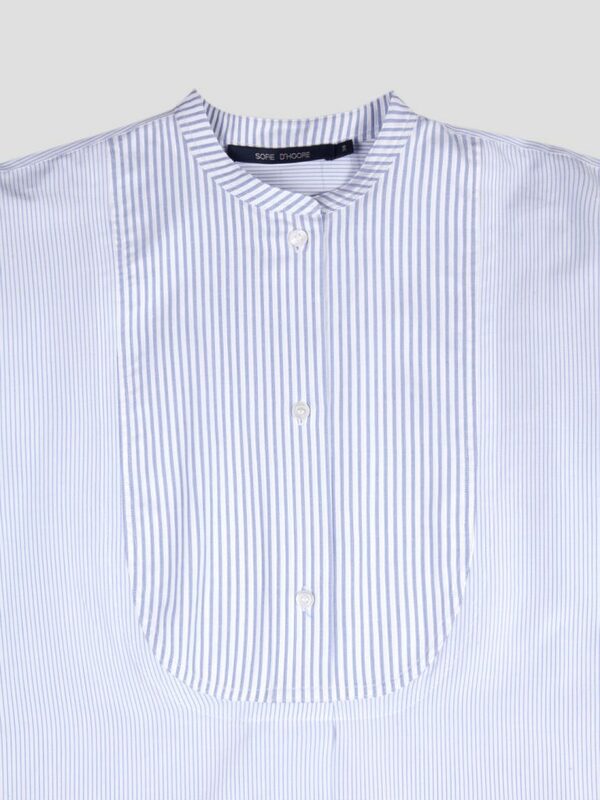 The shirt features a mandarin collar, long sleeves with button cuffs, two pockets and front button fastening. 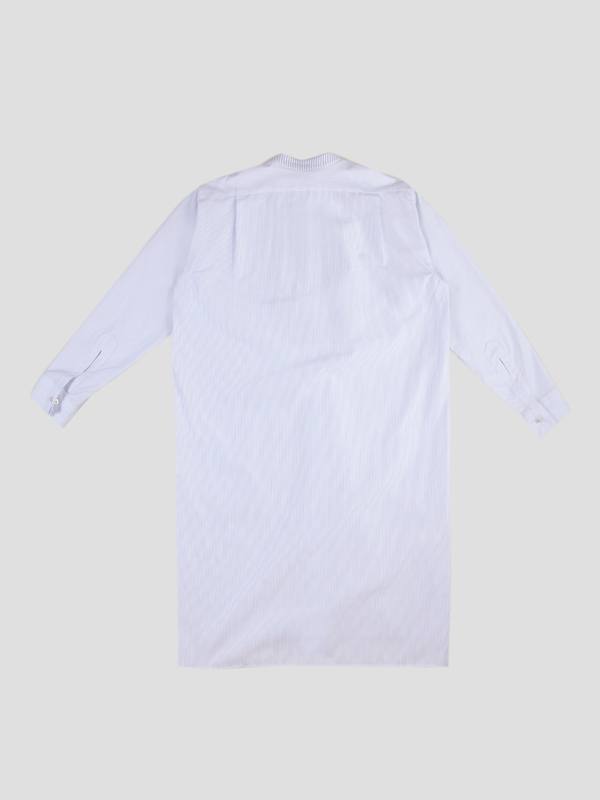 Designed to give a loose fit.